This ad is being distributed via email and is a u-tube video that people may delete without looking at it. These people may have something - if they can 'crack the computer system, it leads to riches around the world. Another method for doing this is to download or write a computer 'leech' program that is written in the hunt and peck way to then attach itself to a phone bank and keep trying various phone numbers. Unfortunately, or fortunately (depending upon your point of view) this program is free for download by anybody on the public Internet. People do not need clearance or any special id to get these free programs and use them. The law, including state and Federal law needs to be changed in regard to distributing destructive programs that have the potential or doing a great amount of harm to the general population financially. 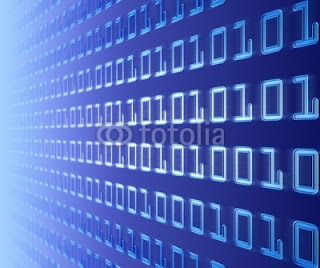 A representation of the Binary Code also taught in high schools as The "Base 10 System of Math"
What is a base ten number system? It is a system where you multiply by ten to get the next higher place. Which number system inspired baseten number system? When was the base ten number system developed? How do you convert a number to base ten? Commonly numbers are base 10 already. Is the number ten a prime number? The number 10 is not prime. A prime number is divisible by itself and one, only. 10 is divisible by 1, by 2, and by 5. Thus, 10 is not a prime number.